Having once again teamed up with E3 and the Entertainment Software Association (ESA), Video Games Live is currently preparing to pull out all the stops to ensure next week’s concert is the best yet. Set to take place on Wednesday 6th June at the Nokia Theatre, the show promises special guests, music premieres, industry stars, new interactive technology, and incredible prizes. Aside from fan favourites, the concert will see premieres from titles such as The Elder Scrolls V: Skyrim, Earthworm Jim, Journey, Diablo III, World of Warcraft: Mists of Pandaria. The original composers will also make appearances and perform on stage alongside over 110 musicians. Video Games Live will celebrate Street Fighter’s 25th Anniversary with a hard rocking symphonic Street Fighter II medley, as well as an exclusive arrangement of Nobou Uematsu’s Aerith’s Theme which was recently inducted into the Classic FM Hall of Fame. A newly created Pokemon Symphonic Suite will also be performed, as well as special guest performers for “Still Alive” from Portal. America’s Got Talent finalist and internet sensation Lindsey Stirling will also take to the stage, Martin Leung will debut his piano arrangement of Banjo Kazooie and Donkey Kong Country, Laura Intravia will showcase her vocal talent as well as her The Legend of Zelda 25th Anniversary and Super Mario arrangements, and heavy metal guitarist Viking Jesus premiere his metal rendition of Star Fox. Industry legends will be in attendance and making appearances, including Sonic Team’s Takashi Iizuka, Blizzard audio director Russell Brower, Grammy Award winning game composer Christopher Tin, Silent Hill game producer and composer Akira Yamaoka, Atari founder Nolan Bushnell, Monkey Island creators Tim Schafer and Ron Gilbert, and legendary game designer Warren Spector. Incredible door prize give-a-ways from Samsung, AMD & Intel (including laptops, hard-drives, media devices, software and much more) will be awarded on stage during the show to lucky winners (any ticket holder will be able to enter). The ever popular pre-show costume contest will be in full effect as each costumed member will be brought on stage as the audience decides the winner by volume of applause. 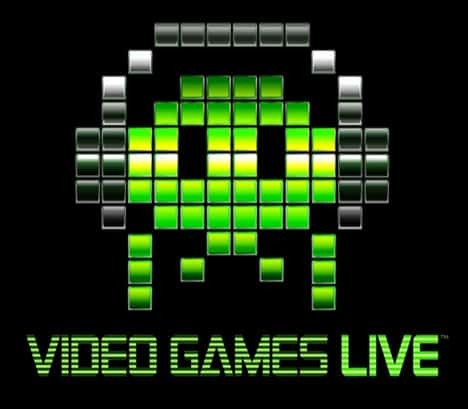 “Since starting VGL in 2002, this particular show is turning out to be one of our most exciting and spectacular shows ever!” exclaimed industry veteran and Video Games Live Creator/Executive Producer Tommy Tallarico. Tickets are available to purchase through Ticketmaster, priced between $25 – $75. A limited number of Ultimate VIP Backstage Experience packages are also on sale.